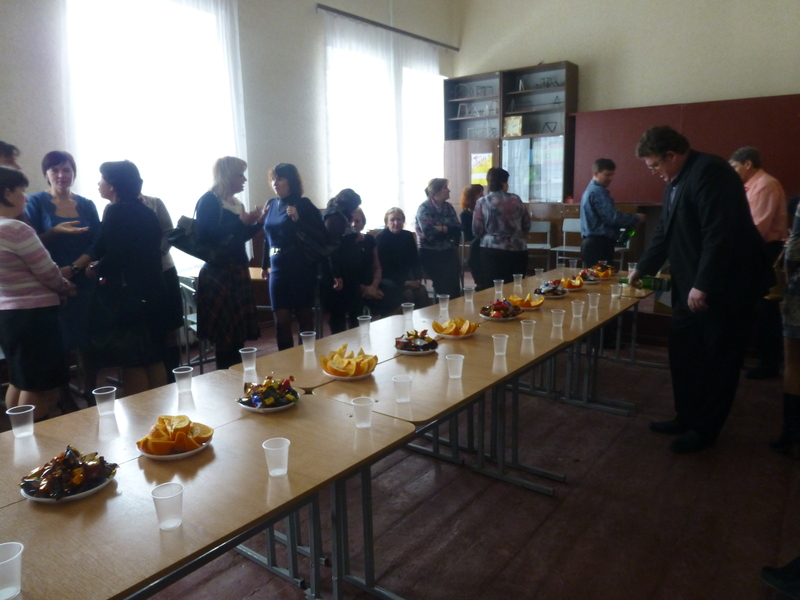 Ukrainians celebrated two holidays this past week. Maslina (масленица) and Women’s Day. Maslina is a time to welcome the Spring and say goodbye to the Winter. To commemorate this day, a straw fertility doll is burned and men compete by climbing up a slick telephone pole. I’m not quite sure why either of these things are done, but both are fun to watch. 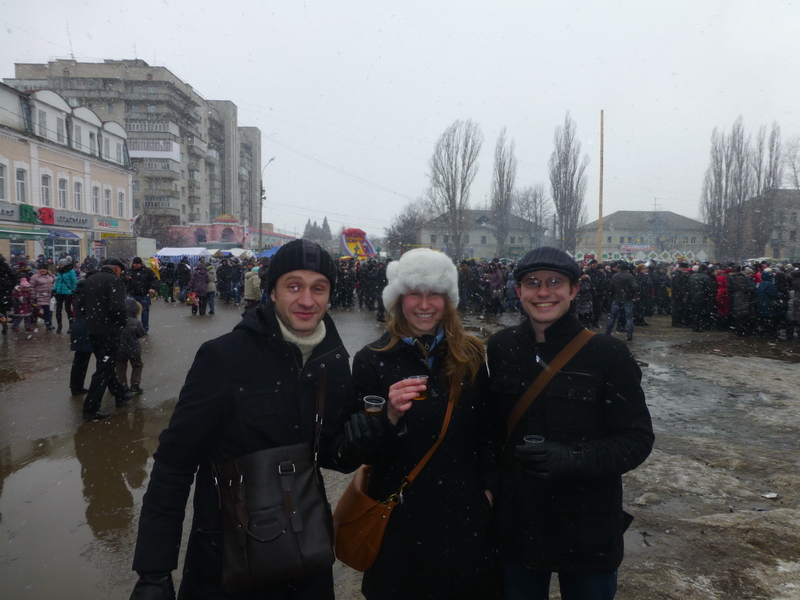 Unfortunately, Romny’s celebration of Maslina was dampened by a think snowfall this year. Part of our usual fearsome foursome, Bohdan, Garrett and I. Vova is taking the picture. You can see the holiday crowd gathered in the background as well as the slick telephone pole that men try to climb each year. 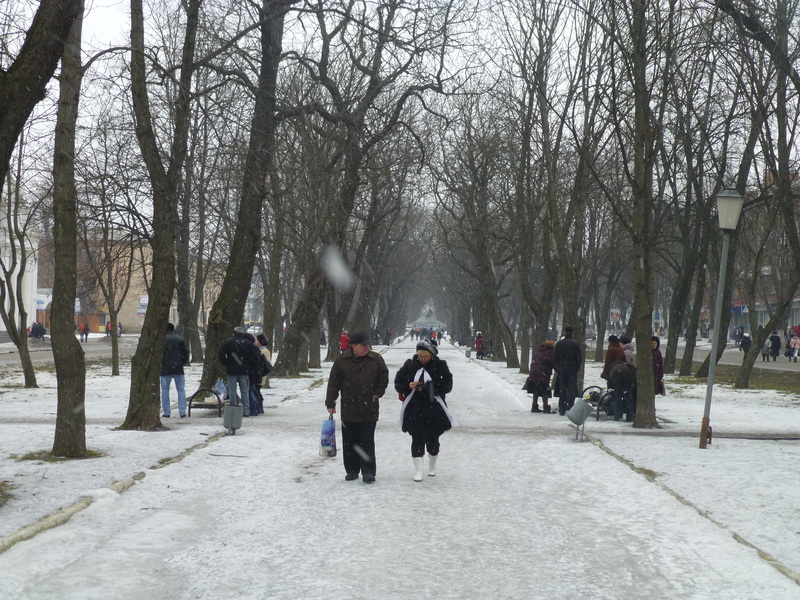 The main Boulevard of Romny, lined with picnickers, babushky and our statue of Taras Shevchenko sulking proudly at the end. Women’s Day, or more commonly referred to as the 8th of March is actually an international holiday. Its a shame I had to come all the way to Ukraine to discover this, but now that I know, I will be sure to bring the tradition back home with me. The day is slightly equivalent to the USA’s Mother’s day, although young girls, sisters, lovers and classmates are also included. The male teachers at my school celebrated the school’s women by buying all the teachers a box of champagne, heaps of candy and oranges. 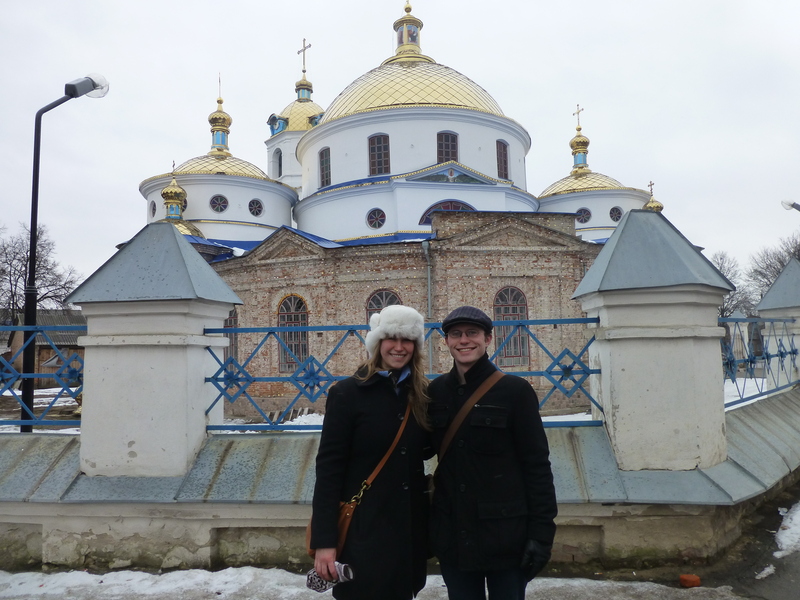 Of course, nothing was done without wishing each other health, wealth, beauty and love (although Ukrainians are much more poetic about it). My school has a huge group of teachers who have graduated from University within the past 4 years. Here is most of them, although we are missing the beautiful Alina and sweet Liza. 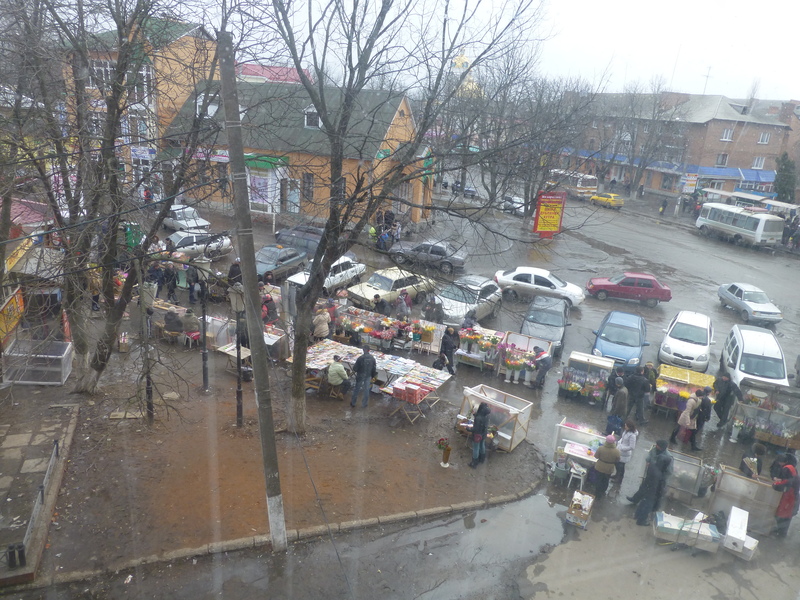 The main streets of Romny were lined with flower salesmen for the 8th of March despite the grubby weather. I also personally celebrated the first case of food poisoning in my life by hugging my toilet for a day. That was definitely not the highlight of my week. I blame a jar of home conserved vegetables I bought from an old lady at the bazaar. When I told my colleagues about this purchase, they were very upset and scolded me for even considering to buy this food…so much for integration through food exploration. Last time I tried to chase vodka with raw pig ear, it didn’t work out so hot either. The third time might kill me. food poisoning! oh no! that’s seriously the worst. i hope you’re feeling all better now.